This next story comes from Maine, and is pretty interesting. In 1998, Valerie Peacock was assistant harbor master in Bar Harbor, Maine, and the arrival of a cruise ship was a innovative event. When a cruise ship tendered, the whole town would stop in awe. Now in 2018, the awe is gone. 230,000 cruise ship passengers are expected to visit the port this year alone. This is a 257% increase from 2003. 257%. What residents are now worried about with the influx of passengers and new mega ships is preserving the natural beauty of Maine. The traffic of the tour busses and the plumes of exhaust from the ships filling Acadia's National Parks have people in a tizzy. The future of cruise ship visitors on Mount Desert Island will be determined by a ballot question on Tuesday, when Bar Harbor residents will decide to buy an abandoned, state-owned ferry terminal just north of town to use as a public marina, park, and destination for cruise ship tenders. If the $3.5 million purchase is rejected, the department of transportation will place the terminal on the market. Many Bar Harbor residents fear that this will prompt the construction of a quarter-mile-long pier where ships could dock rather than tender. Maine's government and coastal communities have been working tirelessly to bring cruise ships to the state in hopes to grow and diversify tourism. Until recently, the government has put off these vital questions: Are cruise ship crowds trampling the fabric of towns? What are the real costs and benefits? Is it all worth it? Maine is now trying to figure out how to handle and take advantage of the expanding call of cruise ships (which has helped keep seasonal business open longer, exposing millions of first-timers to the the beauty of Maine's coast). However, this has been found to be hard without overflowing their communities to the point where there is no beauty left. The results vary. Portland welcomes cruise ships with open arms and sees ample room for growth, where in Southwest Harbor, they have forbidden all cruise lines from bringing any passengers to town. 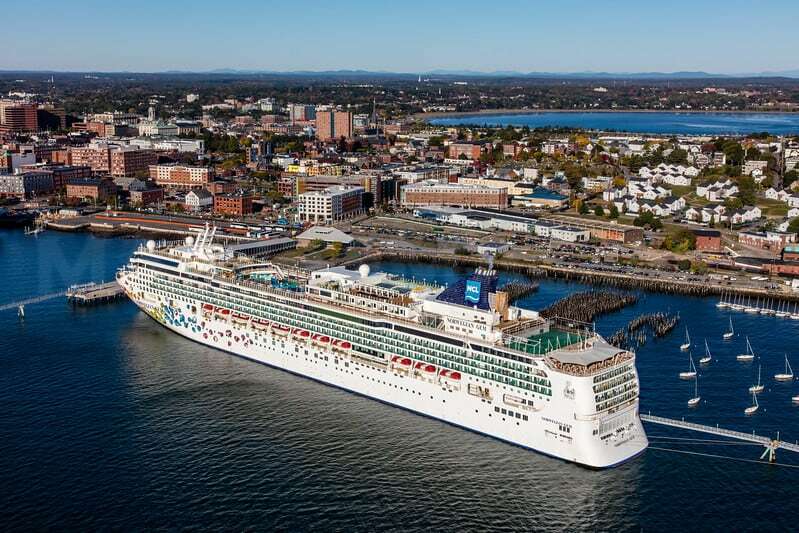 A four-month examination by the Portland Press Herald/Maine Sunday Telegram has shown a wide range of challenges facing Maine’s cruise ship ports as they tackle the fast-growing $38 billion industry. The industry is under intense pressure to take advantage of as much passenger spending revenue as possible in order to maintain profitability, even with its downsides.